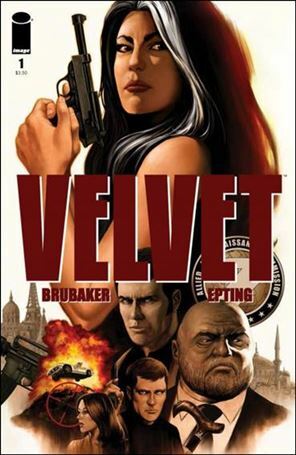 Image Comics spy series Velvet is set to become the very first original scripted drama created for the Paramount Network. Kyle Killen (Awake, Lone Star) will adapt the series, which comes from the creative team of writer Ed Brubaker and artist Steve Epting, who created The Winter Soldier in Captain America, and colorist Elizabeth Breitweiser. Velvet follows Velvet Templeton, a retired Cold War-era spy who gets back into the espionage game to settle an old score. Killen will the script for the pilot and executive producer, per his overall agreement with Paramount Television. Keith Redmon and Steve Golin of Anonymous Content will also executive produce, as will Scott Pennington of Killen’s Chapter Eleven and Brubaker, with Epting also on board as a producer. “It’s in the world of Wonder Woman and cast right and with the right pedigree? It’s a big idea and we think Kyle is great,” Paramount Network president Kevin Kay told The Hollywood Reporter.